Prepping Tip 1: Choose a Concrete Cleaner that is specific to what is being removed. Example: Choose a general stain remover to clean dirt and grime. Prepping Tip 2: After washing it is best to let the concrete surface dry for 24-48 hours prior to sealing. Supreme Shield SB600, before and after. The circle is not yet sealed, while the walk is. Just look at the beautiful difference! We moved into a house that has a stamped concrete patio that is stained and sealed. We built a pool that has concrete pavers around it. With all the pool construction, the patio got really dusty. I've sprayed it off with a hose, used simple green cleaner with a 24" push broom to try and 'scrub' off the dust/debris, but I can't seem to get off all the dust/dirt. I have not resorted to getting on my hands and knees with a hand held scrub brush yet. I want it to look the way it did when we first moved in a year ago. However, I do need to be careful because the concrete pavers (made by Belgard) and the pool are right next to the patio. So whatever I use needs to be safe on the pavers and the pool because when I rinse off any cleaner, some will get on the pavers and in the pool. 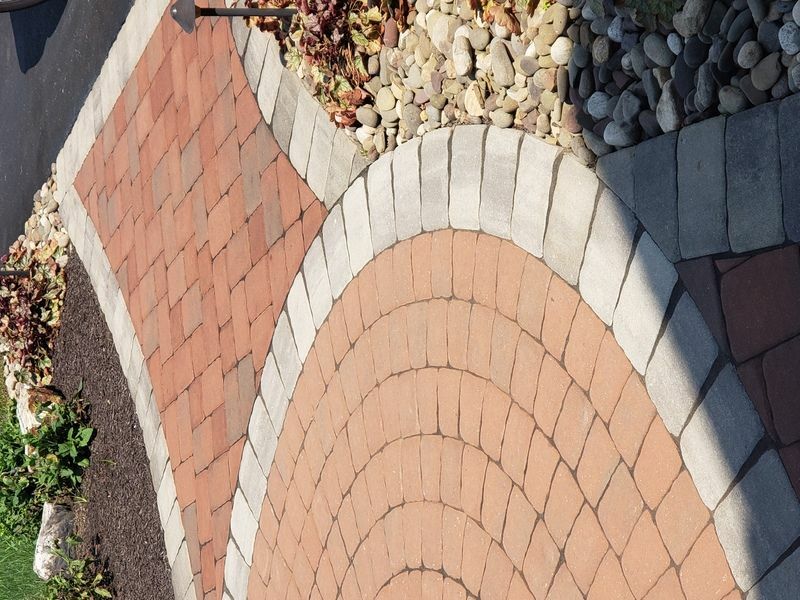 The pavers are not sealed. What is the best thing to use to clean a sealed stamped concrete patio? It doesn't need to be resealed, just cleaned off. I don't want the cleaner to harm the seal or the new concrete pavers (unsealed), or the pool since any rinsing of the patio will get into the pool.